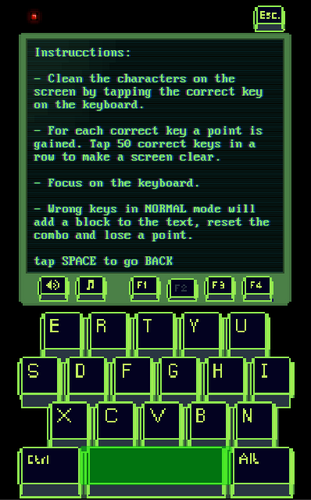 Submission to Unijam - Theme mixup! 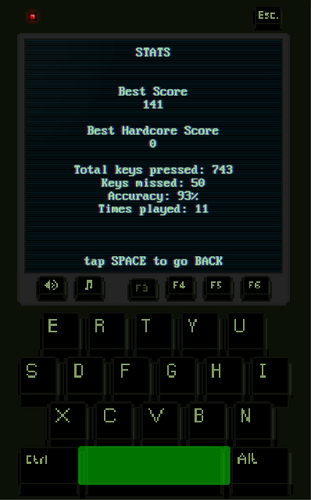 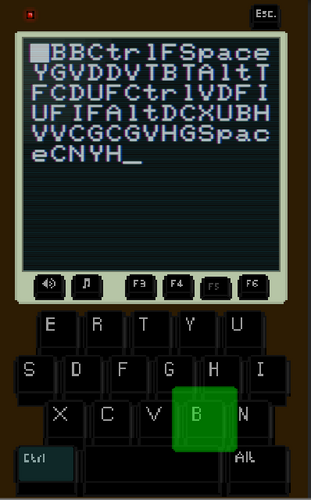 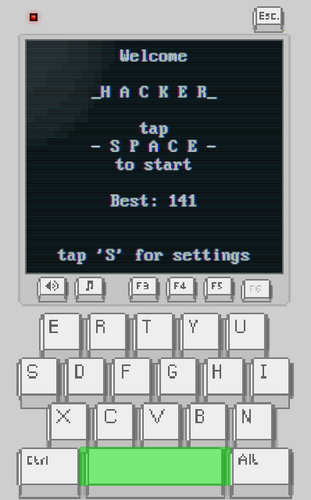 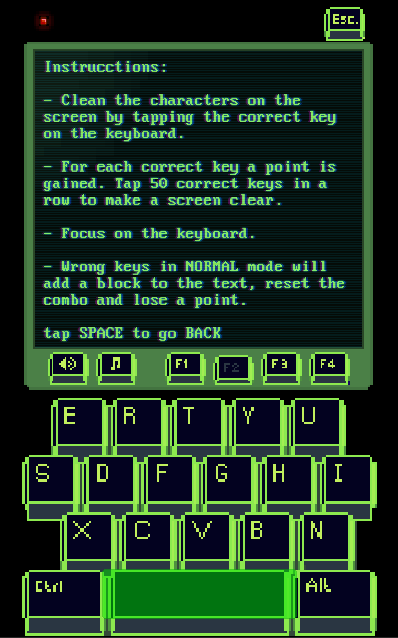 Inspired by the 90's hacker scene and simulating a fictional keyboard device you will have to maintain the screen clean by typing the correct keys as fast as you can. 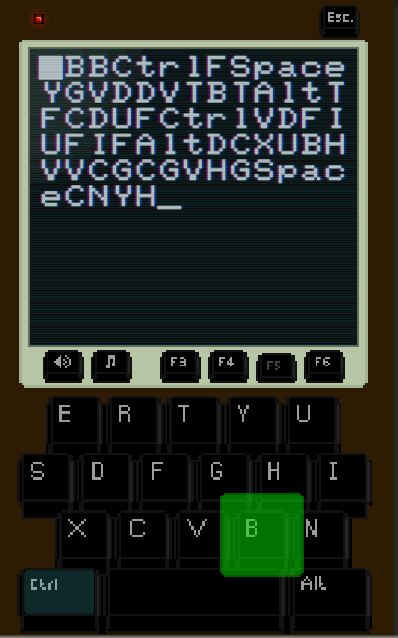 Code, graphics, music and sound fx were made by me. Made in (less than) 72 hours.